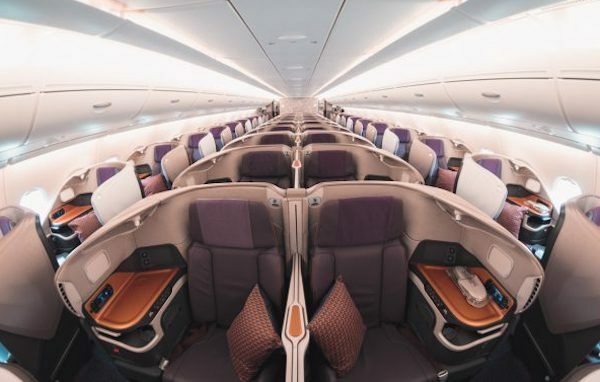 I was originally booked into Qantas Premium Economy as per my outbound ticket, and was considering burning 25,000 Qantas points on a upgrade to Business to maximise sleep opportunities on this overnight flight. 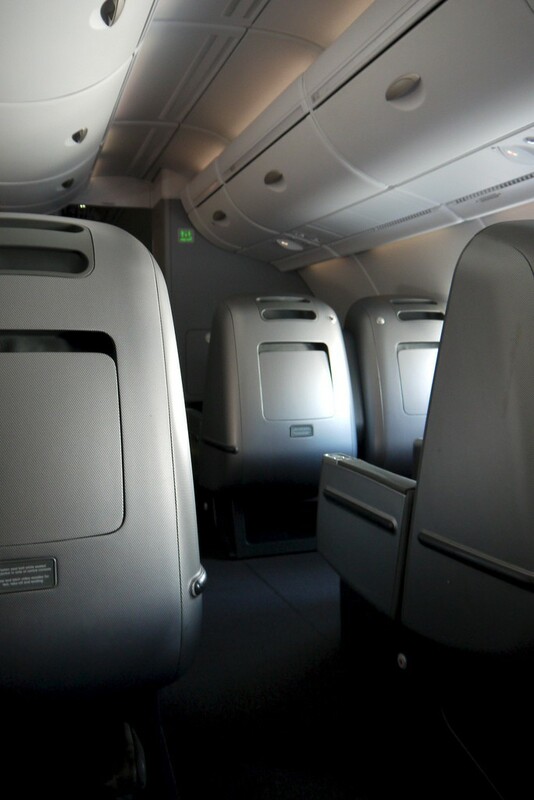 As luck would have it, on rechecking my seat assignment on the morning of the flight, I was no longer shown in my previously allocated exit row Premium Economy seat, but rather had been bumped up to the nice high number of 13K. 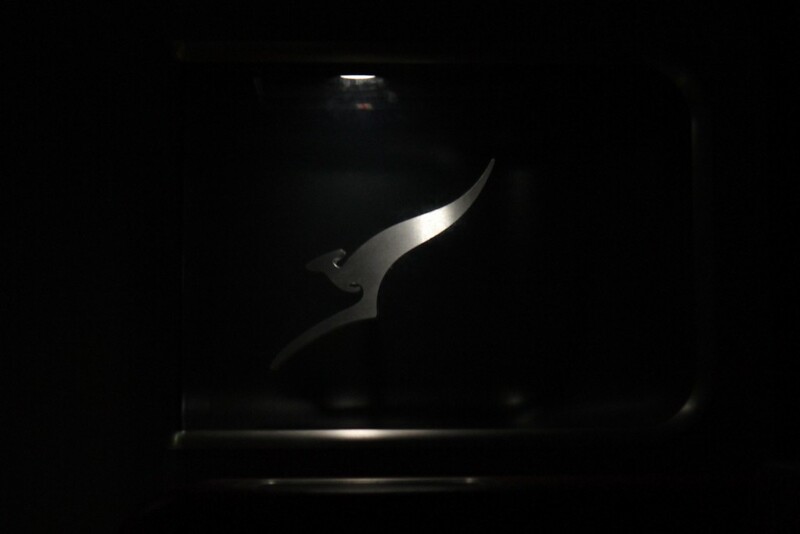 Yep, my first upgrade on Qantas had come through just at the right time. I figured Economy and Premium must have been oversold due to the end of the Chinese New Year Holidays, and my luck was in. For some reason I couldn’t then reassign myself away from 13K as the Business cabin seatmap wasn’t showing on Qantas.com, though a quick check using expertflyer.com revealed that I wasn’t missing out on any better seats anyway. After spending around 6 hours in HKG lounge-hopping beween The Wing, The Cabin and The Qantas International Business Lounge, I was ready to get on a plane home to Sydney and and get some sleep. The departure was delayed by 2 hours due to a late inbound arrival of the A380 from Sydney, which was a bit of a pain but did give me the time to look around the previously mentioned lounges. It did mean though that it was approaching 10pm for the rescheduled departure, and give the 3 hour time difference to Sydney I was keen to get some sleep, and quickly, to ensure the next day wasn’t a total mess. Boarding was speedy when finally called, and my previous thoughts around Economy being oversold seemed be confirmed by the huuuuuge line at the gate. I settled into my seat and tried to start telling my brain to wind down and go into sleep mode. After take off I declined dinner (but did pick up a menu, see below if you’re interested) given I’d purposefully eaten well in the lounges. 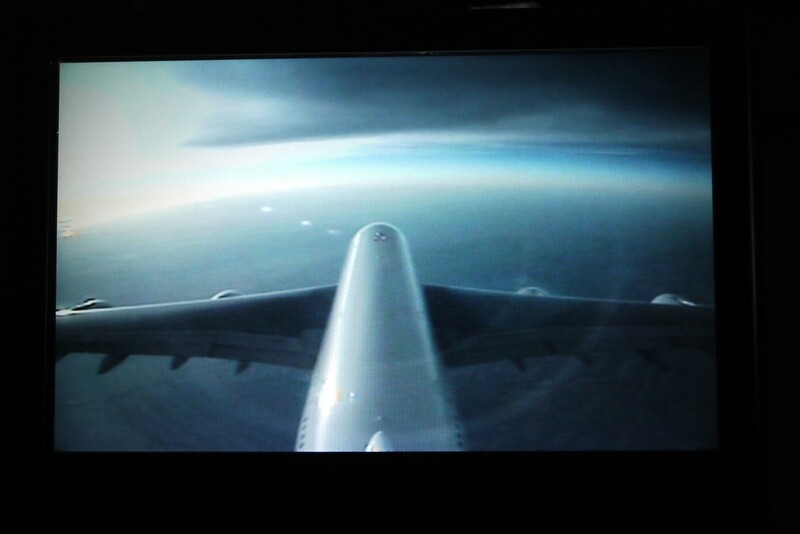 So it was seat flat, sleep time, in a 50% full forward cabin on the rather nice, quiet and restful A380. 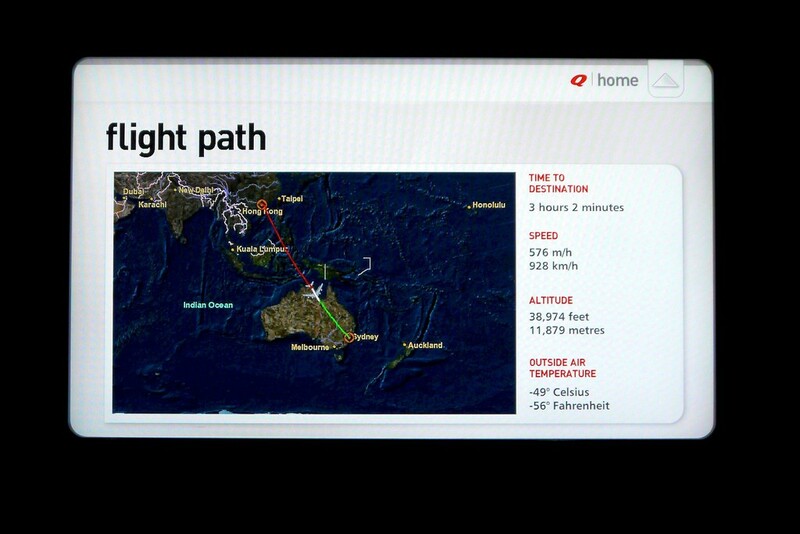 I slept fitfully for about 4 or 5 hours as there was consistent turbulence all the way until made landfall on Australia around 1/2 way through the flight. 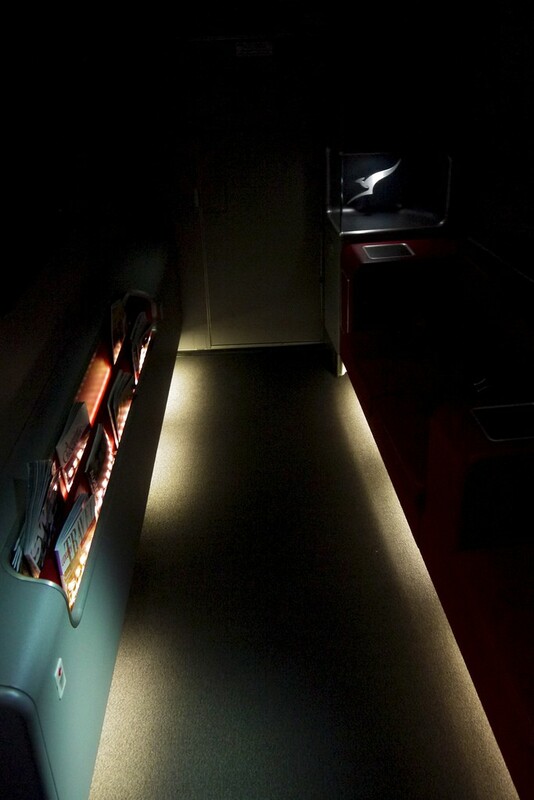 Regardless, the Skybed on the A380 is a good place to try and sleep as it’s true lie-flat. 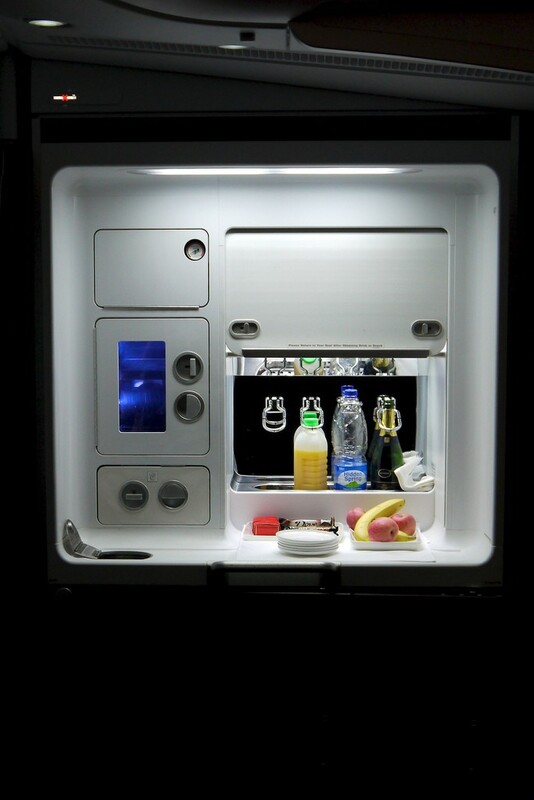 I woke parched and hungry, and not wanting to have my light on and disturb other passengers, I went to hang out in the small forward lounge/snack bar area and ordered a toasted sandwich. 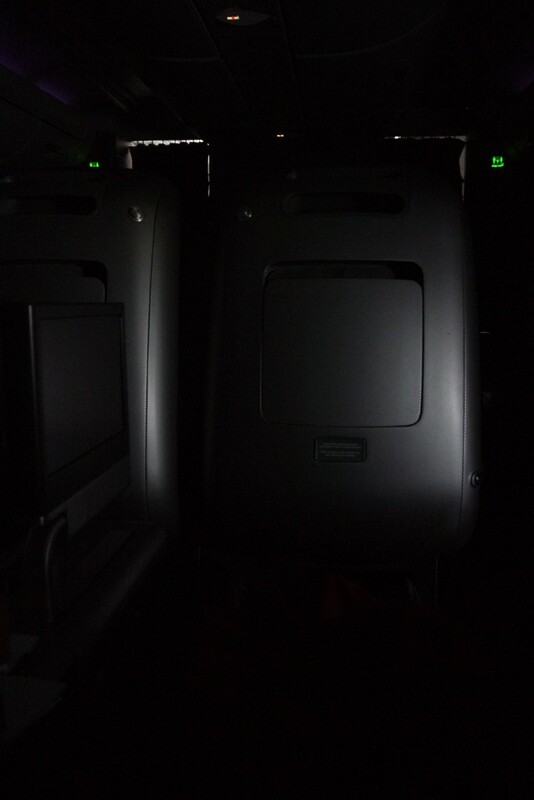 This is a slight flaw in the openness of Qantas’ A380 cabin, and the design of the Skybed, in that the lack of any real privacy dividers makes functioning in the dark without putting a light on which might disturb your neighbours quite tricky. 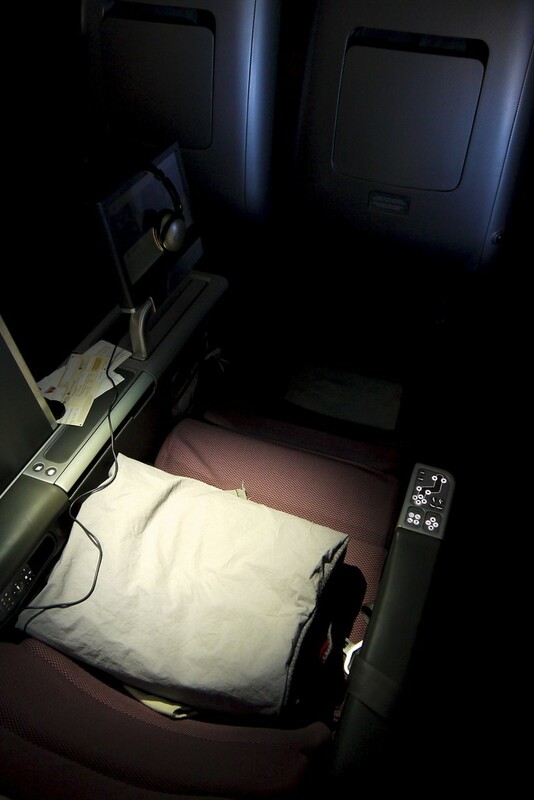 I returned to my seat, tried to get some more rest before breakfast but gave up and watched a movie. 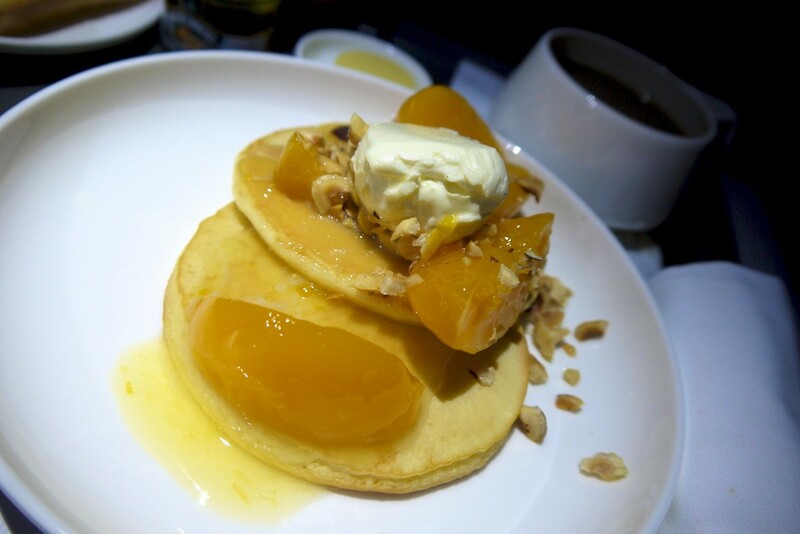 Breakfast was served about 90 minutes before landing into Sydney, and I had chosen some pancakes with peaches in the menu before take-off. 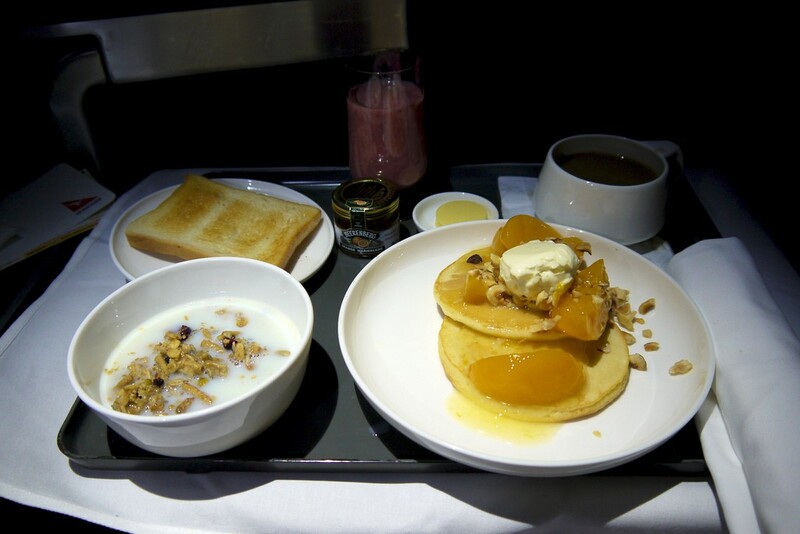 It was pretty good – I still haven’t found a better breakfast than on Qantas. 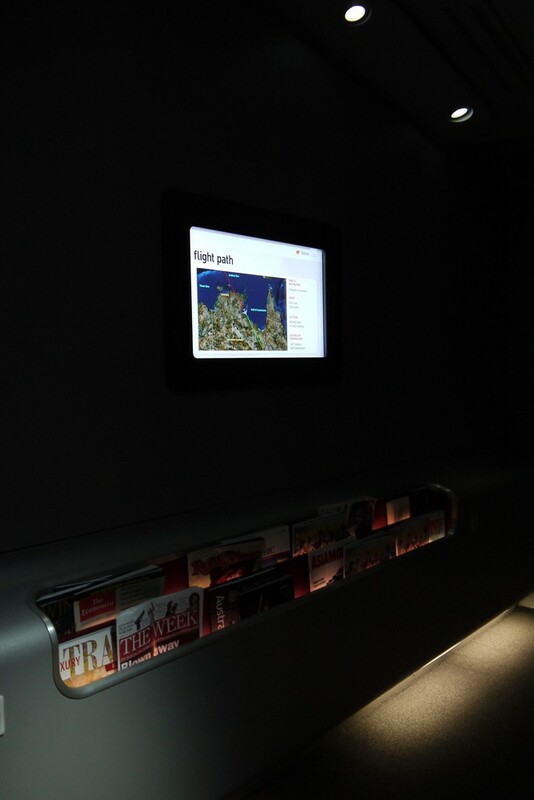 This flight was so unmemorable it’s hard to summarise, other than to say that I was thankful for the upgrade and for the additional sleep that gave. Otherwise, the food was good, but not great (but remember I missed dinner), and the service again was good, but not memorable or special in any way. In a nutshell? 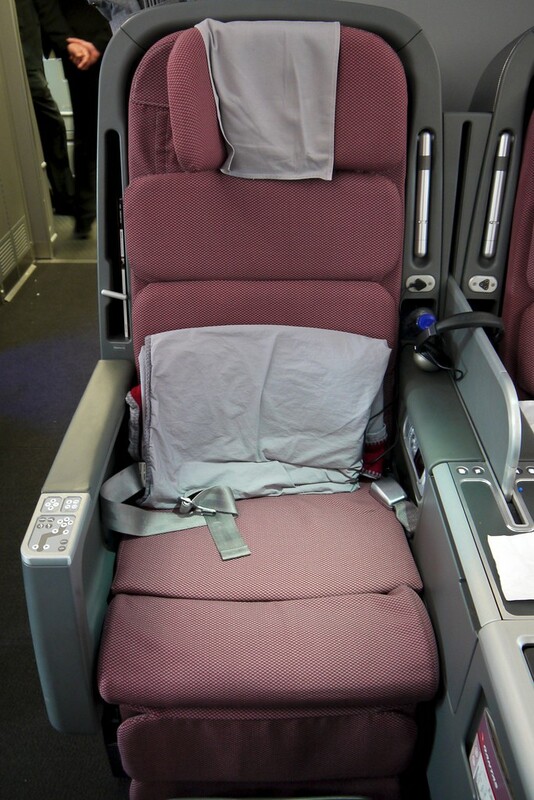 The usual Qantas standard – consistent and professional, but lacking any personal touch from this specific crew.